Tuesday, May 28 from 10am-5pm at the Hilton Greenville just off Haywood Road! 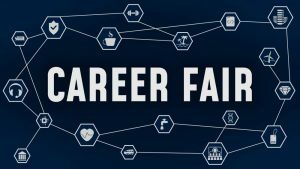 You’re are invited to our Career Fair! There will be hundreds of open positions available from local and regional employers! Whether you’re looking for entry-level or management, full-time or part-time, chances are we’ve got a career opportunity suited for you. If your company is hiring, email us or give us a call at 864-235-1073 to reserve your booth! List of participating companies is being compiled now!